Camping can be a great way to get back to basics – but that doesn’t mean that you should go without certain essentials. Most camping enthusiasts would agree that keeping warm is particularly important, especially if you are camping anywhere with typically low temperatures or during winter. A tent heater provides a fantastic opportunity to keep your tent warm throughout the night. But which camping heaters provide the best experience? To help you decide, we have looked thoroughly into three of the best tent heaters. All these models make use of propane as the fuel for heating. See which comes out on top? 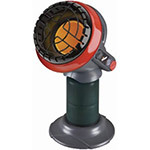 This is a quick and reliable camping heater with a special focus on safety – making it particularly proficient for families. Its auto-shut-off function kicks in if it is knocked over or if it detects too little oxygen. This causes the flame to go out while the thermocouple shuts off the main gas supply to the catalytic burner, neat. It’s also easy to use, lightweight, and approved for all kinds of indoor use, making it perfect for a tent. In fact it will heat up any tent, RV or garage in a matter of minutes. Particularly useful for families is the fact that it has a very small size when folded away.However, if you’re using it at 7,000 feet above sea level, it might switch off, so it’s not suitable for every single camping trip, or for the more adventurous out there. Checkout the brief video below courtesy of MDPrepper and see why campers and preppers alike rate the Mr Heater Buddy. 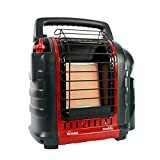 With this heater, you will find that it works efficiently and quickly enough to be able to sit in even a large tent at night with only a light jacket on. The safety of the product ensures that you won’t worry about sleeping with it on, either – a peace of mind you won’t get with every tent warmer. Overall, the Buddy is a reliable and handy little heater. It’s ideal for shorter camping trips and family tents. You won’t want it if you’re trekking up the side of a mountain, but for most situations it is a perfectly efficient and cost-effective heating solution. One of the best value for money options you are going to come across. Another in the Mr. Heater range, this too is a safe and reliable little heater which will be suitable for a range of occasions. It is on the smaller side, at only 3800 BTU, but for its size it definitely packs a punch. Using indoor-safe propane it can easily heat up to 95 square feet – not bad for its apparent size. Accidental tip-over and low-oxygen sensors make it fairly safe for most users, but is lacking the extra security of the MH9BX. It can last a little over 6 hours at full blast – not bad, but not quite the length of time of some of the more heavy-duty options out there. 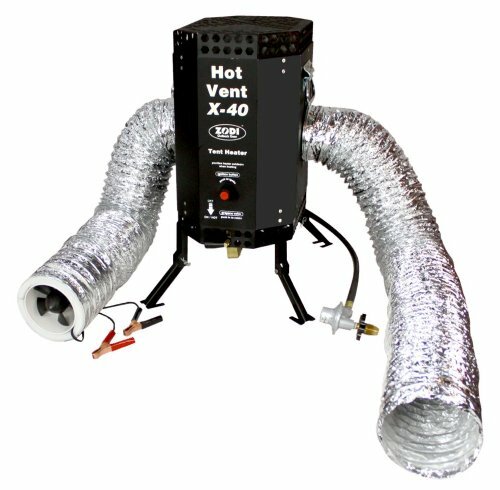 If you are going on a weekend camping trip, or you want to heat up a camper van or truck, this just might be your perfect option. But it is unlikely to be able to cut it for more extreme winter conditions, or longer periods of time. However, it does heat up a lot of space, but not for quite as long as some of your other options. You might also have some trouble feeling confident leaving this one burning in the night; it has safety features, but they’re not the most effective you’ll ever see. Highly portable and cheap, this constitutes a useful little emergency heater – when all else has failed. If you are looking for an emergency heater when others fail, this could be a great option. The Little Buddy is cheap, it’s light, and it does the job – but not quite as effectively as many other heaters for tents out there. It’s approved for indoor and tent usage, although not for motorized vehicles, so it’s not always going to be your go-to. It packs a punch, however, and can heat a large area – but you might not feel safe leaving it on overnight. Not the best for a longer camping trip, but acceptable as a just in case alternative. At the complete other end of the scale, you have this beauty. Compared to the previous Mr. Heater options, this is an especially rugged and effective hot vent tent heater, the kind that will make you feel a lot safer on any trip. It is rated as being safe for all types of enclosures. The Zodi is easy and fast to set up, and heats up even larger spaces relatively quickly. It does however require something that the other heaters being reviewed do not – to be connected to a 12 volt power source. For some users, this could pose a problem. Some might also find that it is a bit bulkier than others to transport but when in use at least the main unit is outside of your tent only the two hoses go in and out of the tent. It is lightweight, yes, but the shape of it is a little awkward to transport. 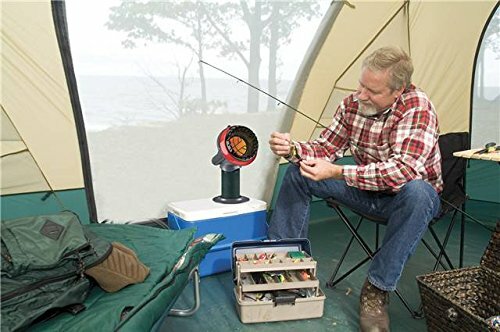 In smaller tents, you might prefer to go for the Mr. Heater MH4B. But for larger tents or more serious adventures this is one of your best choices. It also happens to be one of the safest, so you won’t need to worry about leaving it on overnight. You can also adjust the heat quite well using the valve on the propane tank, whereas with other heaters this adjustment isn’t quite so accurate. The Zodi tent heater is a high-priced, but high-functioning, heater – and not one for the faint-hearted. Given the cost you will need to be a serious camper in order to feel the need for this. But if you do think this is the kind of heater you should be going for, you won’t be disappointed. 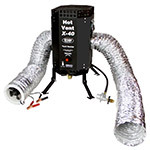 It provides fast, safe forced-clean air after a setup which only takes a few minutes, and it is the kind of heater you can leave on all night without fear. However, you’ll need that 12 volt power source, which is enough to put a lot of people off. A great option for serious expeditions or group trips but a little overkill for most family camping trips. 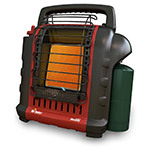 Overall, the Mr. Heater MH9BX has to be your best camping heater option for general use. It is a heater you can use anywhere, is fast to set up and heats quickly and for large indoor areas. It also incorporates some of the best safety features. All this, and it is still on the lower end of the price range. The Zodi might well offer considerably more power, but that is power that you have to provide yourself – and it is going to cost you a lot more upfront anyway. The MH9BX is the only one of the three which will be just as adept for the weekend trip away as for more serious situations – and you are bound to feel that the price tag is fair. It’s easily the best option of the three here. Either of the Mr Heater models are good replacements for those of you who were fond of the Coleman catalytic heater models that used to be popular.The Sportcat and the Blackcat were both good but don’t seem to be available from any of the big stores anymore. 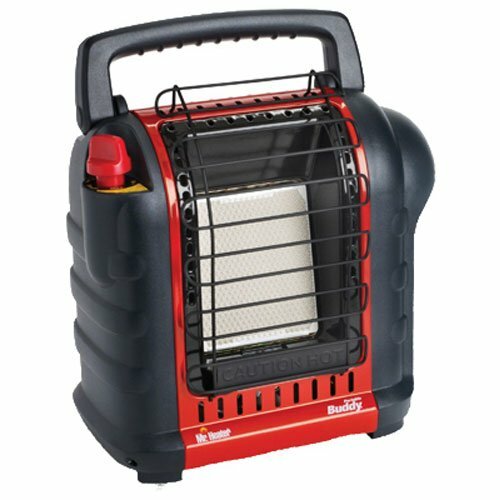 Do you have any experience of these or any other camping heaters for tents? If so we’d love to hear your opinion via the comments below. The Mr. Heater, Portable Buddy DOES NOT detect carbon monoxide (or even carbon dioxide). It only detects lack of oxygen. The mechanism by which it does this is that there is a tiny gas flame, positioned under a thermocouple. Lack of oxygen causes the flame to go out and the thermocouple shuts off the main has supply to the catalytic burner. Thanks for the detail Grant, I’ve edited the Portable Buddy review to reflect your input. You state: “Too bulky for smaller spaces” for the Zodi. Not sure you are clear on the concept. The heater unit goes outside and the hoses go in and out of the tent. So, it takes up *less* room in a tent. The fact that the combustion and exhaust both happen outside is what makes it safe….. none of that is happening in the tent. One hose is sucking air from the tent and the other is returning the same air (heated) to the tent after it runs through the heat exchanger. All of the exhaust is vented out the top….. never coming into contact with the air coming from and going to the tent. I get the concept Brian but I perhaps didn’t word the review quite so well. Given your input I’ve revised things slightly. Many thanks Brian. Both of the buddy heaters you reviewed have the same safety features, none of which can detect Carbon Monoxide. They both only have tip-over sensors and low oxygen sensors. When using them inside, always keep a CO sensor nearby!